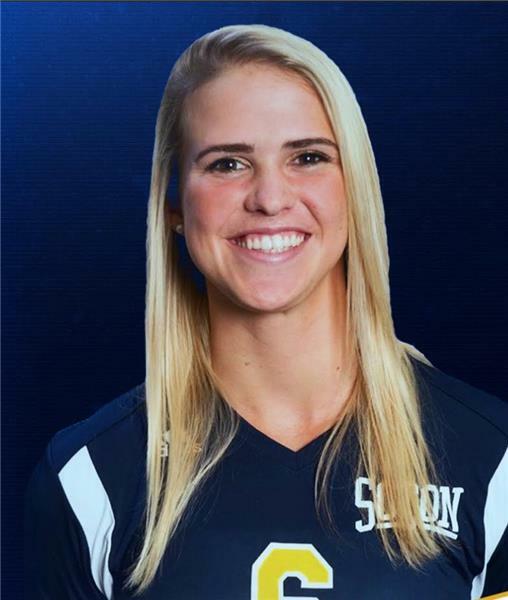 Head coach Travis Filar and the Chattanooga Mocs volleyball program have officially announced the addition of Lauren Barr as a Volunteer Assistant Coach for the upcoming 2018 season. "I have always felt strongly that since I have been at Chattanooga, I had the privilege to work with great assistant coaches, and more importantly, even better people," said Filar. "It has been their singular goal at Chattanooga to work daily to make our program better and impact our student-athletes time positively on and off the court." Lauren Barr, formerly known as Gainer, enters her second season on the staff after assisting the Mocs program last season in a Volunteer of Student-Athlete Development role. "Being able to shift Lauren into a coaching role this upcoming season, one where she can teach and mentor more on a daily basis is huge for our team and for the continued strengthening of our Chattanooga volleyball family and its culture," added Filar. Barr is very familiar with the Scenic City after lacing up for UTC from 2012-15 while helping capture the 2015 Southern Conference regular season championship and finishing her career near the top of numerous statistical rankings as a middle blocker. "Lauren was a four-year starter for us as a middle blocker, was instrumental in the building of our team culture as essentially a four-year team captain, and was part of our first full recruiting class that when they were seniors, won the 2015 Southern Conference Championship," said Filar. She ranks second all-time in program history with 283 block assists while sitting fifth in total blocks (344) and seventh in block solos (61). Barr still holds the single-season record with 103 block assists during the 2014 season. In addition to her stellar play, she notched spots on the Dean's List, Athletic Director's Honor Roll and Academic All-SoCon team for her work in the classroom. She continued her post-graduate playing career at the University of North Florida as a member of their beach volleyball program in the spring of 2017 while majoring in Management. "I know all of that experience and knowledge gained as a student-athlete and leader will enable her to be an amazing coach and role model to our players and I could not be more excited to welcome her as our new assistant coach." Chattanooga begins the preseason slate on Wednesday, Aug. 8 as they prepare for the season opener against Belmont on Aug. 25 in Knoxville, Tenn., as part of the Tennessee Invitational. Full team and season previews can be found on GoMocs.com in the coming weeks in preparation of the 2018 season.